Processors have come a long way since the day of Intel’s famous Core 2 Duo or Core 2 Quad, the series lived long and served really well to gamers with its groundbreaking performance and lots of options to choose from. We are now living in an era of Intel’s new and improved “I” series processors, the series originally started back in 2008 with Inte’s Nehalem architecture. Intel then released Core i3, Core i5 and Core i7 in the span of 2 years. Going from entry level processors to high end ones, respectively. Following the release of the first Core i series processors, for those of you who don’t remember, Intel’s tick-tock cycle that was introduced back in 2006 was still being used. The tick cycle made sure that every processor released under this cycle had an advanced manufacturing technology. As for the tock cycle, it was there to ensure that the processors falling under that particular cycle come with new and advanced micro-architecture. Considering how Intel’s current generation is Skylake and comes with a new 14nm micro-architecture, it falls under the tock cycle. On the other hand, Intel’s lifelong rival, AMD has made a lot of progress with their processors too. Thanks to the effective and competitive pricing policy, AMD has managed to turn into a fan favorite among the gamers who prefer to get the best bang for their buck. 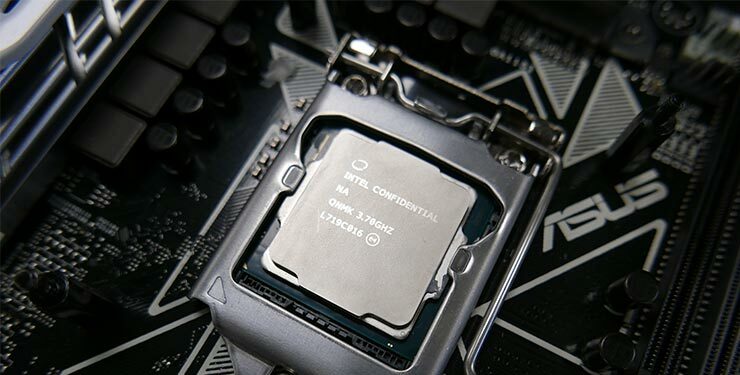 Moving on from the technical details, today we are going to take a look at the 12 Best Gaming CPU you can in 2019. The list of processors includes high, mid and low-end processors to help the readers decide for themselves which one they want to buy. The one thing that people always wondered when it came to Intel processors was why Intel is only keeping the mainstream processors to 4 cores. However, that changed when the company released the 8th generation of desktop processors that are based on the LGA 1151, but with a different pin arrangement. Fa ns were happy to see this from Intel, because the processors came with 6 cores in mainstream. The Intel Core i7 8700K is the fastest gaming CPU available in the market at the time of writing this, at least from Intel’s side of things. The processor comes with 6 cores, 12 threads, and has a base clock of 3.7 GHz, that can boost up to an impressive 4.7 GHz. In terms of raw performance, the 8700K knocks everything out of the park and offers performance that is unrivaled so far. Users can game and stream at the same time without noticing any lag whatsoever. However, there is one important thing that I have to mention here. The CPU runs hot, so anyone who is looking to squeeze in some overclock, or want to ensure that the CPU stays stable, and cool, you are going to need a good cooler. In my testing, the processor shot up to 70 degrees on a Corsair H115i while playing Assassin’s Creed: Origins, however, Aida 64 caused the temps to go even further than they were while gaming. But as we all know, synthetic temperatures are not always something to write home about because that much load on a processor is not possible in your gaming use. One more gripe I have is that the 8700K will only run on Intel’s latest Z370 chipset, and this is an issue because the processor is still based on the LGA 1151 socket, with the same 14nm socket. So, this is definitely going to be a letdown for many people as well. In conclusion, the Intel Core i7 8700K is easily the best gaming CPU available in the market from Intel’s side. Sure, it runs hot, but for anyone who is buying a processor this powerful, I don’t think buying a high quality air or all in one liquid cooler would be that big of an issue. Extremely great performance in gaming as well as streaming. The boost clock goes as high as 4.7 GHz, that is 1 GHz bump over the stock speed. Plenty of overclocking headroom with adequate cooling. The processor can overheat easily. The processor does not work on anything but the Z370 chipset. If you are not in the mood to invest in the flagship 8700K but still want Intel’s latest and greatest gaming CPU, then don’t worry, because you are not out of options completely. Up next is the Intel Core i5 8600K, a downgraded version of the much beloved 8700K. If you have been following Intel’s spec scheme, then you should know that the major difference that Intel has introduced here is the lack of hyper threading. Which means this processor comes with 6 cores and 6 threads instead of 6 cores and 12 threads combination of the 8700K. The 8600K also has a slightly lower base and boost clock, coming in at 3.6 GHz for base, and 4.3 for boost, but the good thing is that there is plenty of overclocking potential available. As compared to the bigger brother, the 8600K runs cooler, and works well in whatever title you would think about. To be honest, if video editing and rendering is not what you are looking for, then the Intel Core i5 8600K is a much better option than the elder brother, and will also save you a premium, something that many people are often concerned about. Gaming performance in my tests remained on par with what the 8600K had to offer, and I honestly do not think I could ask for more from this amazing CPU. Sure, many people might be telling you that it is just a rehashed version of the 7600K or the 6600K, but my tests revealed that it is much better, especially in games that are requiring more than 4 cores like Assassin’s Creed: Origins, as well as Playerunknown’s Battlegrounds. In conclusion, the Core i5 8600K is a budget gamer’s heaven, because it offers solid performance, low thermals, and great over clocking potential. At this point, the only complaint I would have is that the processor is not ideal for people who are looking to render or edit using it. Gaming performance on par with the best of the best. Good amount of boost clock. Not the best choice for renderers, and editors. Now as far as gaming is concerned, the 8400 can run on the same performance as the 8600, however, you need to understand that the lower base clock of 2.8 GHz might hurt some modern titles by a margin, but in most cases, it should not be an issue. However, what is the most impressive part of the chip is that it has a boost of 4.0 gigahertz. This might confuse, and scare some people away, but if you know how this works, it will only apply to one core. With that said, the gaming performance of the 8400 was nothing short of impressive. As always, I ran the usual slew of tests that I run on the modern processors which included Assassin’s Creed: Origins, as well as Playerunknown’s Battlegrounds also known as PUBG. With that said, I have to be honest, I was not expecting this level of performance but the CPU has certainly impressed someone like me. Sure, when you compare this with something like the 8600K or the 8700K, the performance difference would be noticeable, but if you are on a budget, and you want to buy a good entry level CPU that should get the job done, this is the way to go. Another thing that I have to add here is that you get the Intel fan as well, and while the fan is not going to do wonders, it is important to know that it is a decent addition to say the least. With that in mind, there are only 2 issues at the moment that I would like to address; one of them is related to the motherboard availability, and not really the issue with the processor. For starters, there are no H370 chipset motherboards available in the market. This can be a huge downside for many people. In addition to that, considering how the processor has a locked multiplier, there is no overclocking potential whatsoever. 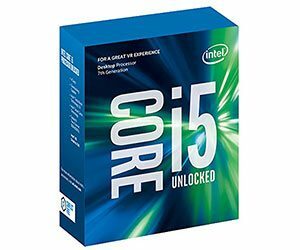 If you are okay with these minor hiccups, then the Intel Core i5 8400 is an impressive processor that should serve you well in you upcoming gaming adventures. Offers good gaming performance at a lower cost. Comes with stock Intel HSF. Six cores at a low cost. There are no H370 motherboards available in the market. The locked multiplier might be a letdown for some users. 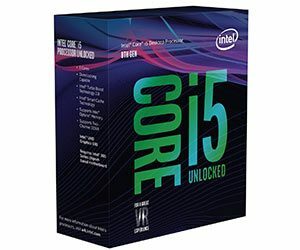 If this has surprised you then welcome to the club because I was surprised as hell when I realized that Intel had released the first Core i3 processor in its history with 4 cores, and an unlocked multipler. 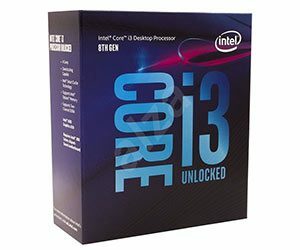 Say hello to the Intel Core i3 8350K, a budget oriented, unlocked processor that does not cost a lot of money, and dishes out some impressive performance. Right out of the box, the most impressive part is the insane 4.0 base clock of this processor. You do get a lower core count, meaning that you are now in possession of 4 cores and 4 threads, but during my testing, it was clear that most modern games don’t need six or more cores. Performance was no joke as the processor managed to hold up pretty well as compared to some of the other options and performed exceptionally. I have to say, I was surprised to say the least as far as the performance is concerned. The processor also remained well within decent thermals without the chance of overheating, and was a treat to use. In all honesty, when I started using the processor, I was not expecting a lot from it; however, upon finally putting it through its paces, I can now say that Intel is doing the right thing, and the serious competition that it has received from AMD has knocked some sense into the blue team, and made them release some amazing processors. The only downside is that the process can’t perform well in tasks that require hyper threading, or more physical cores. Decent temperature and power consumption. Does not heat up unnecessarily. Performance does suffer in CPU intensive tasks. When AMD finally launched its much awaited Ryzen lineup of processors last year, fans were happy and relieved to know that the market finally has some competition. AMD shot towards the stars, and managed to grab a fair amount of market share that was previously only reserved by Intel. 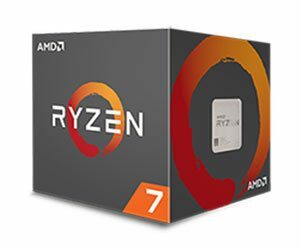 On the test bench, I have the AMD Ryzen 7 1800x; company’s flagship consumer level processor that is packed with cores, and performance as well. The 1800x boasts 8 cores with 16 threads, and has a clock speed of 3.6 GHz, with boost going as high as 4.0 GHz. Sure, it might not sound like the highest frequency, but look at the amount of cores you are getting. The processor uses the latest AM4 socket, and will need a proper cooling solution as it can get a bit toasty. As far as the performance is concerned, the 1800X is the king of multi-threaded performance with blazing fast speeds, and incredible numbers. However, I was let down to see that the single threaded performance, or should I say gaming performance. During my testing, I noticed that the Core i7 7700K was performing better in games, and while the difference was within margin, it actually changed in some other games as well. However, if you are looking for an all-rounder that can stream, render, and game as well, then it is hard to beat the Ryzen 1800X, because it delivers phenomenal performance. 8 cores and 16 threads can crunch numbers in no time. Great for streaming, rendering, editing, and gaming. The single threaded performance suffers, and lags behind. 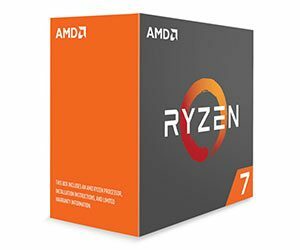 If you are looking to save some bucks and still enjoy the high core count, then the Ryzen 1700X might be for you. Many people have considered it the tuned down version of the 1800X, and while you still get the 8 core and 16 threads, the base clock has been trickled down to 3.6 and boost to 3.8. However, the good thing here is that just a simple bios tweak can fix that for you, and you can overclock your 1700X to match the clocks with the 1800X. Performance wise, both processors traded blows with one and the other, so I can assure you that you will not be feeling ground shattering performance difference. The Ryzen 1700X performs exceptionally well in multi-threaded applications, so all you renderers, and editors can breathe a sigh of relief because there is plenty to look forward to here. Sure, it is a bit slower than the 1800X but that is within a margin of an error, and you will not be feeling that big of a difference. The AMD Ryzen 1700X does suffer though, and that happens when you talk about gaming. Do not get me wrong, the performance is great for what you are getting, but compared to the Intel side of things, especially with processors with lesser core counts. The gaming performance is not horrible by any means, but there is a fair amount of difference between a Ryzen 7 1700X, and 7600K. In conclusion, I would say the same thing about the 1700X, as I did with the 1800X. It performs well in almost e very task you throw at it, and can handle itself exceptionally well when it comes to temperatures. You just have to make sure that you are not buying this solely for gaming, because that is the Achilles heel of this processor. Can trade blows with 1800X while being cheaper. Gaming performance can leave a lot to be desired. 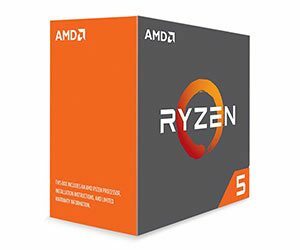 If you are looking for cheaper alternatives from the red team, then the AMD Ryzen 5 1600X is a great option. This 6 core processor is AMD’s answer to some of the Intel’s 4 core processors that are keeping the gamers with them. AMD promises better performance not just in multi-threaded performance, but also in single-threaded applications. Let’s find out how many of those claims are true. The 1600X runs at the base clock of 3.5 GHz, and can boost up to 4.0 GHz; needless to say, this is one of the highest boost I have seen in an AMD processor. It has 6 cores, and 12 threads, meaning it does support hyper threading, and judging by the core counts, it should be the direct competitor of Intel’s Core i7 8700K. Sadly, the 8700K swallows the 1600X, but does so by delivering hotter thermals, and more power consumption as well. As far as the value for money is concerned, the Ryzen 5 1600X is hard to beat, as it provides one of the best value for money because it is comparatively cheaper than the 8700K. If we look at the same price point, the 8600K still outperforms the 1600X, despite not having hyper threading. 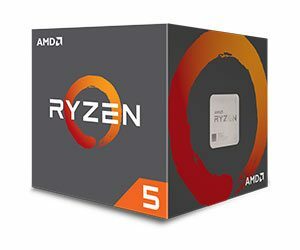 If you are looking to buy the Ryzen 5 1600X for gaming and gaming alone, then I would suggest that you look for better options. However, if you want a processor that is a well rounder, and performs decently in every single task thrown at it, all the while keeping the thermals down, then the Ryzen 5 1600X is definitely a good processor that more and more people should get. Multi-threaded apps can take benefits from 12 threads. Does not require a beefy cooler. There are better options available in the same price range. When AMD came out with its Zen architecture, the made sure that they are going to cater people from all budgets. That is exactly what they did with the AMD Ryzen 5 1500X. One of the cheapest Ryzen based processors that are aimed at people who do not want the most amount of cores. The 1500X takes the core count to 4 cores with 8 threads, and in addition to that, you also get access to the core speed of 3.5 GHz with boost to 3.7 GHz. Not the fastest, but considering the power draw, and the price, it is more than what you are paying for. With that said, the good thing is that you can still dial in a decent overclock on your 1500X, however, I would not advise you to try and push things too hard because after all, the TDP on this is 65W, and that is not a lot as compared to some of the other processors in the market. The lower TDP also means that the overall thermal performance is decent, and you will not be having any issues as far as cooling this chip is concerned. As a matter of fact, you can get one of the Wraith HSF from AMD, and I am sure that they will cool it rather well. The gaming performance was surprisingly good; I was not expecting much from the processor in the first place due to the underwhelming performance I have seen on the higher end AMD processors. I will just say that for anyone on budget, it is hard to say that the 1500X will not be good enough. In conclusion, the 1500X is a great processor for the price you are paying. However, I would highly advise you that if you are looking for some number crunching, blistering performance, then you are better with a processor that can handle the tasks, because the 1500X is more of a gamer’s need, then a content creator’s choice. The processor is among the cheapest, but definitely offers great value for money thanks to the great performance. It does not need a high end cooler to cool it down, and will remain thermally well behaved even with the stock cooler. Friendly on the pockets, and considering how you are going to use it with an AM4 motherboard, there is room for upgrading. The gaming performance is nothing to write home about. Intel recently launched it’s much awaited the 7th generation line of processors that goes by the Kaby Lake name, for those who don’t know, this generation of processors is also based on the LGA 1151, making it compatible with the Z170 series of motherboards. However, Intel didn’t hold back from making things even interesting, and introduced the Z270 chipset for the Kaby Lake platform. Today, we are going to take a look at Intel’s latest consumer level flagship processor, the Intel Core i7 7700K. For those who don’t know, this is the highest clocked version that offers a base clock of 4.2 gigahertz, and boosts really high. In addition to that, you also get the same 91w TDP, and the same 14nm architecture. The good thing here is that thanks to the higher clock speed, you can actually push your CPU to 5.0 gigahertz with just proper cooling. On the performance side of things, the things aren’t as exciting. 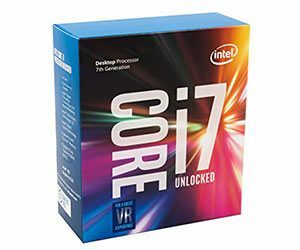 The Core i7 7700K offers little to no improvements in terms of gaming over the 6700K, this means that anyone who’s thinking of upgrading from the 6th gen 6700K to the 7th gen 7700k should find an alternative. 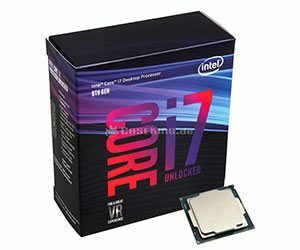 However, for anyone who’s been stuck on the 3rd or 4th gen, getting something like the 7700K sounds likes the perfect deal. 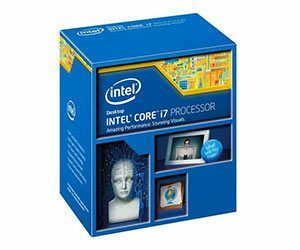 Overall, the Intel Core i7 7700K is a really good performance with a lot of overclocking headroom, and the same, impressive 91w TDP, and while it may not be a worthy upgrade over the 6700K, anyone who’s upgrading from a somewhat modest processor should be glad to know that this is a great choice. Among the fastest 4 core offering. Can be used for streaming as well as editing. Can get hot if overclocked on air. The 2nd in the list is Intel’s latest and greatest; the Core i7 6700K. The four core/eight thread processor is a beast at whatever is thrown at it. The processor clocks at 4.0 GHz stock frequency that easily boosts up to 4.2 GHz when there’s an intensive task going on. The “K” represents an unlockable core that means that the processor is capable of overclocking like a breeze. The processor comes with an 8 MB cache and carries full support for both DDR4 and DDR3L. Do keep in mind that the 6700K draws a tad-bit more power when compared to the Haswell Refresh 4790K. The TDP drawn by this processor is around 91w. Speaking of performance, according to several hours spent bench-marking on different processors, the conclusion was drawn that the 6700K performs equals to the $1,000 Core i7 5960X. The processor managed to outperform 5960X in Far Cry 4 and was bested by the 5960X by just 2 frames in Shadow of Mordor. This goes to show how the i7 6700K is the best bang for the buck and considering how we are talking about gaming specific processors, goes toe-to-toe with the $1,000 5960X while being priced modestly as well. Can allow you to stream and game at the same time. Good for basic rendering and video editing. Despite not being a massive jump from Skylake, Intel’s release of their Kabylake generation of processors proved to be successful, especially for people who have been waiting since Sandy Bridge for something substantial. The Core i5 7600K, and Core i7 7700K proved to be two of the most impressive chips in the list. We have already reviewed and loved the i7 7700K, so naturally, it would be unfair to completely overlook the existence of the younger brother. Say hello to the intel Core i5 7600K, a direct competitor to the older 6600K. The 7600K comes with a higher base and boost clock, supports Intel’s Z270 chipset, and happens to be backward compatible with the Z170 chipset at the same time. The reason why we are adding the processor in the list is rather simple, the performance numbers are very close to the original 6600K, and considering how both processors share an identical price tag, it would have been unfair to keep it out of the list. There’s no denying that Intel has done some improvements, however, you do need to keep in mind that most of the improvements are incremental, and in many cases, you may not even notice the performance different. The processor requires a 95w TDP, and can be overclocked rather well. As a matter of fact, thanks to a higher base and boost clock, the 7600K overclocks better than some of the other processors in the market. As for the specs, you get 4 cores, 4 threads, 3.8 gigahertz of base clock, and 4.2 gigahertz of boost clock. As far as the gaming performance goes, you should know that the performance remains on par with the 6600K even when overclocked. While the processor may seem to have no value at all, the good thing is that this is basically best choice for people who are sitting on Sandy Bridge, and even Ivy Bridge, and are looking for an upgrade. There’s no denying that the 7600K is a solid performer, and will server gamers really well. However, do keep in mind that if you’re looking for something that’s really good at video editing, and rendering, you may need to dish out some more money just so you get the i7 7700K which also gives hyper threading into the mix. If you’re looking strictly from a gamer’s perspective, things couldn’t get better than Intel’s Core i5 7600K. Great option for those who do not want hyperthreading. Cheaper than the flagship i7 option. Great for all the modern day titles. Not good for rendering or video editing. Back in 2014, Intel came up with Haswell-E lineup of processors, The Haswell-E series run on X-99 platform and has full support for DDR4. The processors released were; Core i7 5820K, 5930K and 5960X.These processors were meant for extreme enthusiasts or people who wanted more than gaming. While the 5960X is still considered to be the most powerful of the bunch, the $1,000 price tag is the reason it wasn’t a smart move to add it in the list. However, the still capable 5820K that is modestly priced when compared to the competition at the time of writing made its way to our list. The processor comes with six cores/twelve threads and is quite capable of delivering fantastic gaming performance. The 5820K delivers spectacular gaming performance; perfectly maxing out every game thrown at it while having a dedicated graphics card. With that being said, the only downsize of the Haswell-E series is the massive power draw. All 3 processors share the same TDP of 140W as opposed to the modest 91W TDP of Skylake and even lower than the TDP of Haswell. Great for prosumers who want more cores and performance. Additional PCI-e lanes for those who want. Higher TDP allows for higher overclocking. Performance in gaming and streaming remains solid. There is no denying that gaming CPUs come and go every now and then. While some people like this trend, I can think of many people who are against it. Whether or not this trend is good is not up for debate here, however, I must talk about the fact that gaming CPUs are now becoming more and more accessible to the user as they were in the older days. How, you ask? Well, that is because Intel is finally pushing CPUs that are budget oriented and still provide a decent gaming performance; the Core i3 8350K is a great example, and same goes for the Core i5 8400. With that said, AMD is not holding back either, all thanks to their Ryzen CPUs, and this only means that the gamers in the modern day and age have many options as compared to the gamers who did not have any options before. Keeping that in mind, this list will be updated again in the future, when the new CPUs arrive, and when we see whether they are powerful enough to be included in this list. Stay tuned for more. What are you talking about? The CPU only determines a modest amount of your game performance due to the majority of the games on the market not utilizing multithreading, but it doesn’t have to be a deciding factor, because it’s so easy to overkill on a processor for a gaming rig. how good is the Intel Core i5 2400 Quad Core Processor LGA1155 3.1GHZ Sandy Bridge 6MB for gaming if I could get one used in supposivly “excellent condition” for $80 CAN.? 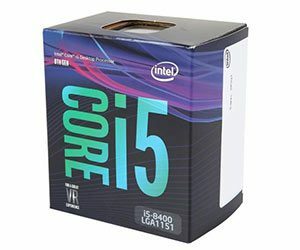 I really only play Minecraft, which I’m told is more of a CPU relying game… say paired with decent other parts(from like a 600$ build), how high do you think I could get my fps? Also, from the same guy, he was a motherboard, used, “exellent condition”, for $70 CAN. Intel Core i5 760 LGA 1156 CPU also what about this cpu for 60$, used, in “good” condition? Don’t go with the 1st gen cpu’s. pentium g3258 is better than i5 760 in gaming. 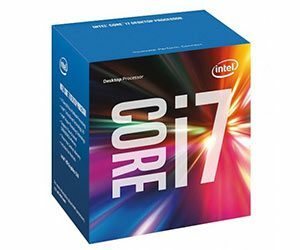 I’m interested in seeing if the next generation 7th Intel Kaby Lake can be used in a Hackentosh build. Since Apple did not announce any new MacPros this seems to be a good option, but I want to understand what any issues may be. Number 8. i5 4690 or 4590? well, cpu’s are kind of a main worry. getting a great graphics card but average cpu and you have your self a bottlenecking computer.